Shake well before use. Add to water first before any other nutrients at a rate of 4 ML per GAL of water. Always measure pH/EC/PPM values once ALL other nutrients and additives are mixed. 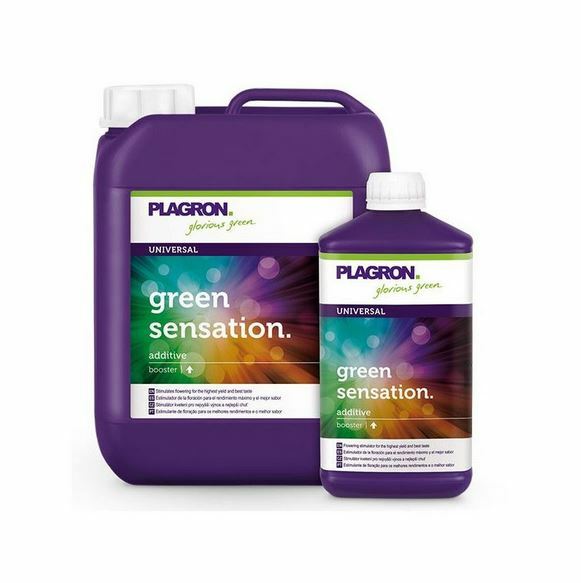 Tip: Green Sensation will help bring sick, deficient and diseased plants back to life! 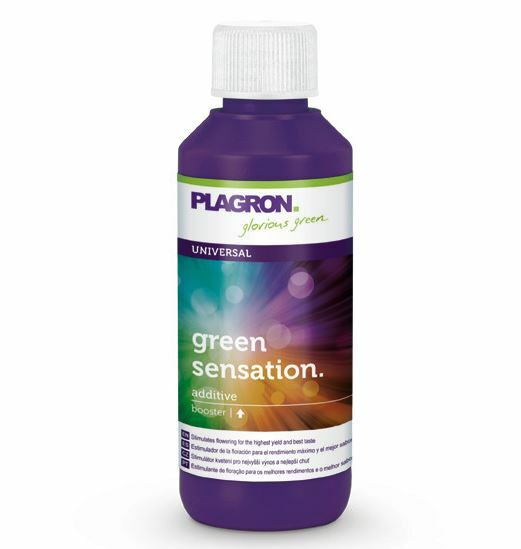 Green Sensation has also been known to replace multiple products during the blooming, fruiting and flowering stages. 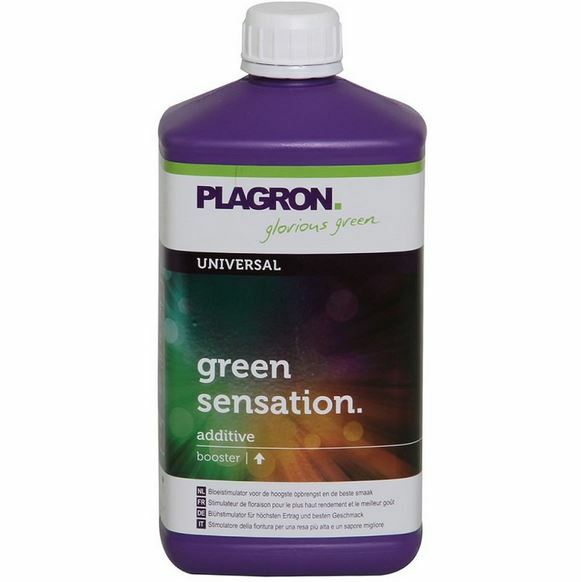 Boost your yields with proprietary organic phosphorus and potassium compounds found only in Green Sensation by Plagron. The simplicity of Green Sensation allows growers to achieve the benefits of (3) crucial plant nutrition products combined into one bottle! This proprietary booster combines a bloom stimulator to increase flowering productivity and quality, a PK 13-14 to ensure dense cell structure, and an exclusive enzyme recipe to assist in overall plant health. Green Sensation was developed especially for the final 4 to 6 weeks of the flowering phase to guarantee a high quality yield. The well-balanced composition of Green Sensation delivers all of the nutrients the plant needs to produce delicious and bountiful harvests. Green Sensation increases yields, improves flavor and aromas through greater sugar formation, and can be used with all substrates and fertilizers. Expect drastic reductions in the use of your base nutrients and other additives by as much as 50%! Test some yourself and join a growing nation experiencing the benefits of Green Sensation!